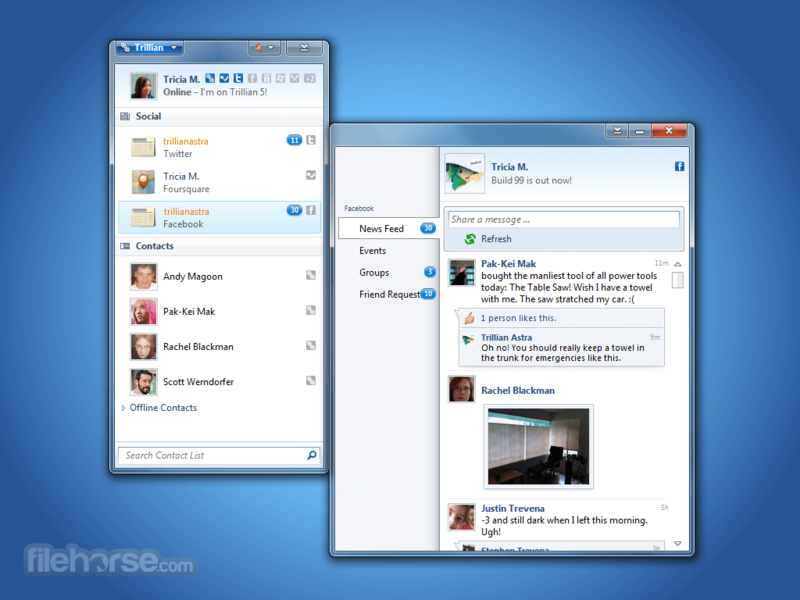 Trillian is a free fully featured, stand-alone, skinnable chat client that supports chatting on Windows Live, Facebook, Twitter, Yahoo, MySpace, AIM, Email, Google Talk, Skype, ICQ, Jabber, IRC, and Bonjour. It also helps manage your social networks such as Facebook and Twitter. 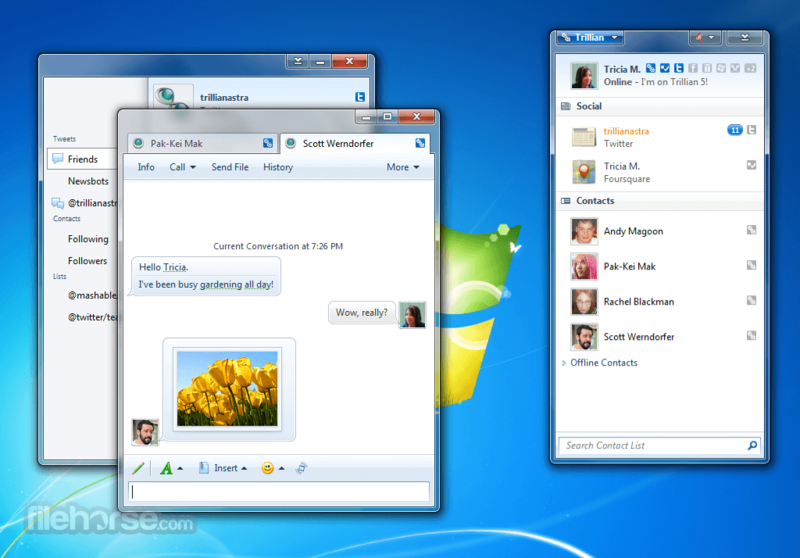 Trillian provides capabilities not possible with most original network clients, while supporting standard features such as audio and video chat, file transfers, group chats, buzzing, tabbed chats, tablet-based drawing, message history, plugins, avatars, multiple simultaneous connections to the same network, typing notifications, proxy support, and encrypted messaging. 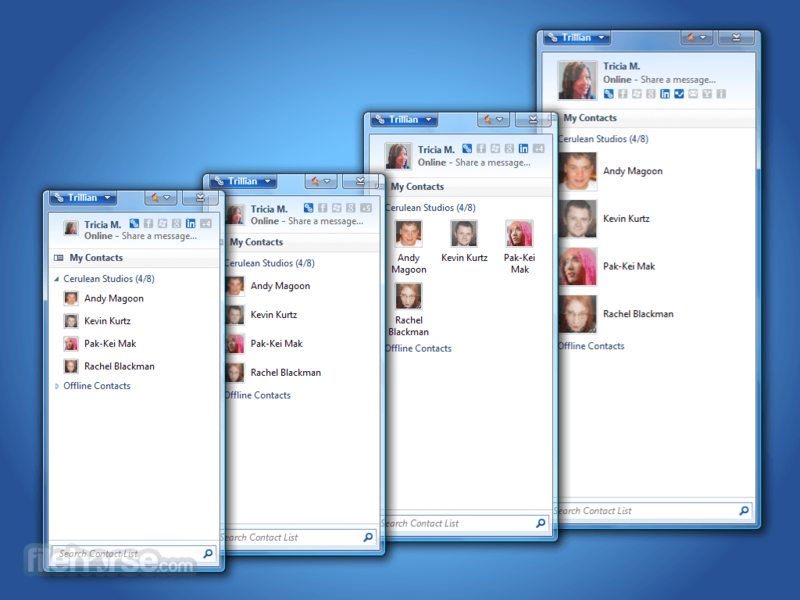 With support for Google Talk, Facebook, MSN, AIM, ICQ, Yahoo!, and more, stay connected with everyone. 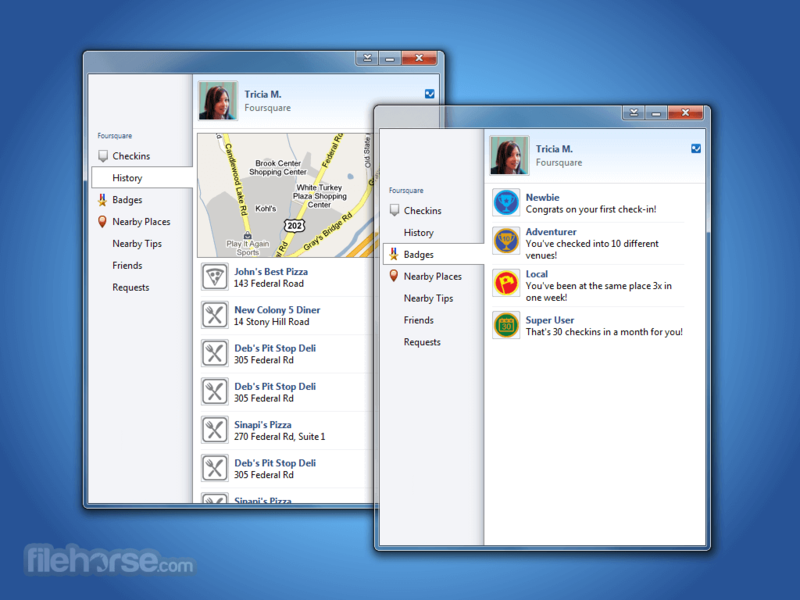 Trillian is available on Windows, Mac, iPhone, iPad, Android, BlackBerry, and directly in your web browser. 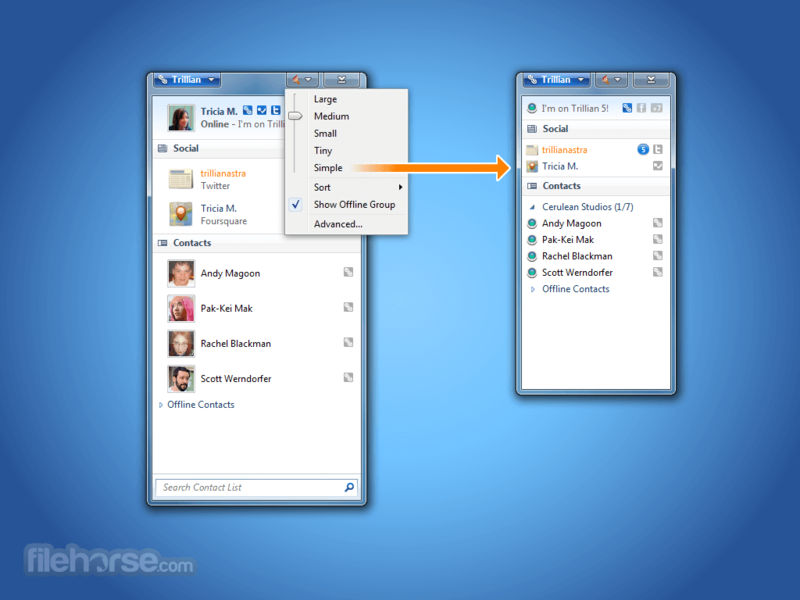 Never miss a beat with Trillian's social integration, keeping you connected to Facebook, Twitter, and LinkedIn. New to Trillian for Windows, you can now chat directly in full-screen games with awesome in-game chat feature. Skins and themes let you personalize Trillian for Windows any way you'd like. Change colors to suit your mood!